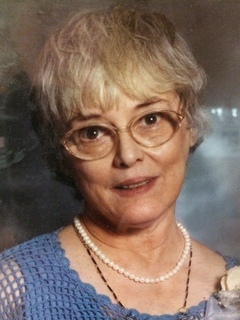 MONA ELLEN FORYSTEK SANDYS (nee Koubeck) age 78 died Wednesday, March 9, 2016 in Medina. Mona was the beloved wife of the late Donald; loving mother of Carole, Laura (Bob), Stephen (Samantha) and George (Ana) and the late Anne; dearest grandmother of Rebecca, Rachael, David, Jill, Alex, Blake and Ava; dear great-grandmother of five. Family and friends may gather for a graveside prayer service at Holy Cross Cemetery 14609 Brookpark Road, Brook Park, OH at 12 NOON SATURDAY, MARCH 19, 2016.